What mom isn’t concerned about her family’s safety and security? Not only does the news often remind us that the world contains scary people, we also have sensationalized news popping up in social media feeds daily. Being a single mom, I worry even more about security and safety. I’m a woman home alone with lots of children. If something happened to me, what would happen to my kids? If something happened to them, how would I ever survive it? Not living in fear and worry has been a constant struggle for me since becoming a single mom. As a newly single mom, I used to drop my kids off with my mom every time I went out or had a commitment. But, now that several of my children are teenagers, the kids often stay home alone. Giving me even more situations to be concerned about! Last week, I installed a Logitech Circle 2 in our home, and I’m so excited about it! 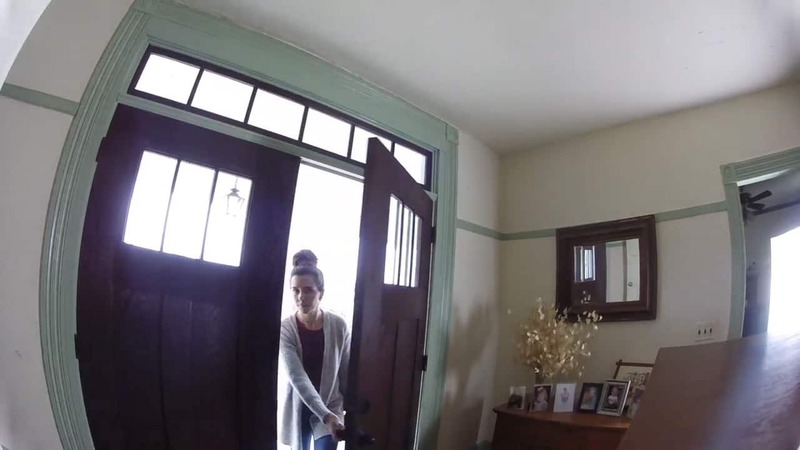 Before, when I considered installing a security camera, I figured it would be a huge undertaking, including calling specialists to my home or, even more worrisome, trying to run wires by myself. If you’ve been around here long, you know that I’m especially challenged when it comes to all things electrical or motorized. The Circle 2 was so easy! I simply put the Circle 2 where I wanted it, connected the camera to the Logi Circle app, and then followed the instructions on my phone screen. It took just a few minutes from opening the box to being completely set up. Now no one comes into or exits my house unseen! That little, unobtrusive camera installed over the piano gives me the view below- which I captured using the photo feature of the Logi Circle app. The older my children get, the more we all head in different directions. I love that when I’m away, my Circle 2 alerts me when my teens arrive home and get inside the front door safely. I can even have extra peace of mind when I see them turn around to lock the door behind themselves! Watch out kids… Mama can see you! And I can see you from ANYWHERE using the Logi Circle app on my phone. Not only was my new security camera easy to install and use, it’s also simple to move anywhere I might need it, including outside since it’s weatherproof. Circle 2 comes in wired or wire-free version, plus there are several accessories which make it even easier to mount anywhere- magnetic mounts, suction cups for the windows, and more. 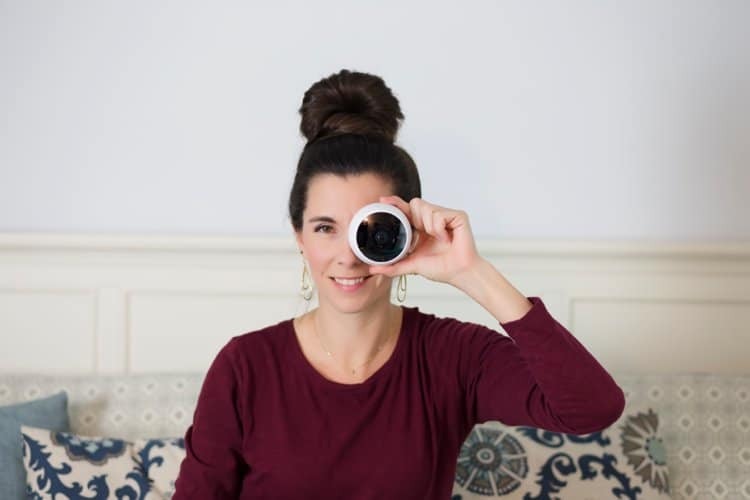 My teen daughter often babysits children at our house, so she’ll even be able to move the camera to act as a baby monitor when the children nap. 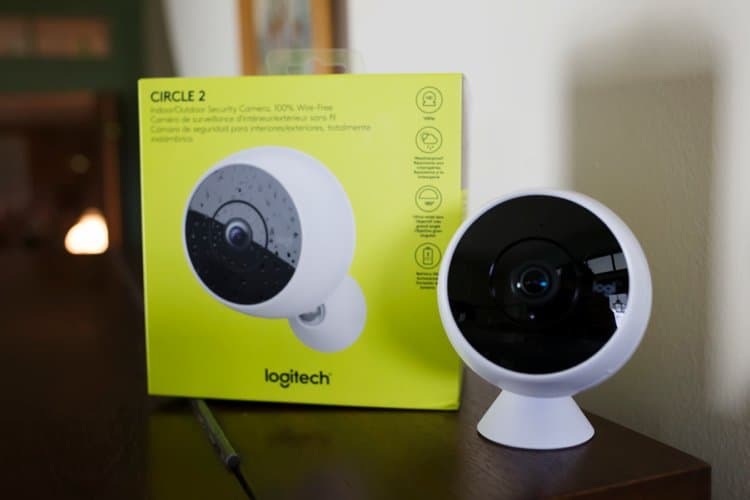 If home security concerns you, or even if you simply need an extra set of eyes in your home, be sure to check out the Logitech Circle 2. With unlimited 1080p HD streaming, night vision, 180 degree wide-angle lens, and two-way talk and listen, it is sure to give you a great view where you need it – and peace of mind, too.